Join the Uprising! The Pacific Rim Uprising movie introduces the world to awesome heroic Jaeger robots and evil Kaiju monsters, and now you can get them all in a tiny, collectible format! Each blind-packaged box contains either a Jaeger or a Kaiju, sculpted in the adorable chibi style, including Gipsy Avenger, Saber Athena, Bracer Phoenix and the hideous Raijin! There are 7 different variations to collect! 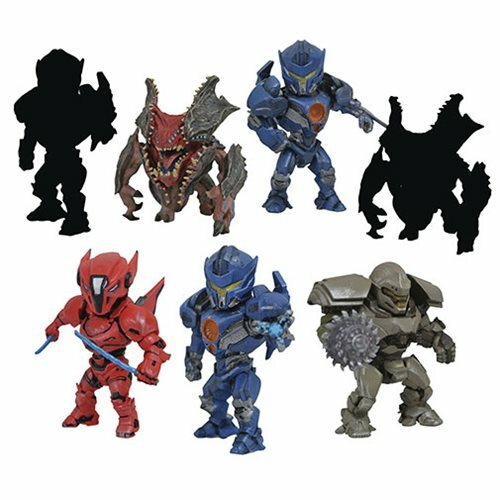 The Pacific Rim 2 D-Formz Mini-Figure Random 4-Pack contains 4 indvidually packaged random blind-boxed figures.